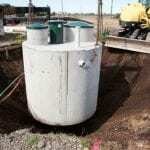 Home > Septic Services Blog > Septic Installation: What is Right for You? Septic Installation: What is Right for You? Consumers these days are very good at researching. With the internet and more information being available to the general public, it’s not uncommon for our team to encounter customers who are quite knowledgeable about all things septic — even if they’ve never owned a septic system! At Clark Septic, we want to help you get the most out of your septic tank installation, so before you open up your favorite search engine and start typing away, ask yourself a few questions that can help determine what septic installation will work for you. How many people are in my household? What cleaners do I like to use to clean and do laundry with? What are their active ingredients? Can I change some habits to best meet the needs of my septic system? How often does my family do laundry? Where does my water softener tank empty? How much water does our household really consume in a day? A week? A month? Where should our system be located? These are just a few of the things you should keep in mind before your septic installation. An expert in septic systems, like our team here at Clark Septic, can help you find the right system for your home with minimal trouble on your part. Be sure to contact us with any questions that you might have for us! We would love to talk septic installation with you. Got a mess? We’re the best! At Clark Septic in Orlando, FL, we are committed to providing top-quality septic and drain field services at affordable prices, accompanied by excellent customer care. Call us today to get a free quote or schedule service! 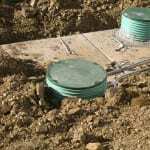 Need help with septic tank installation? Contact us today! Our Professionals Install ATU Systems!